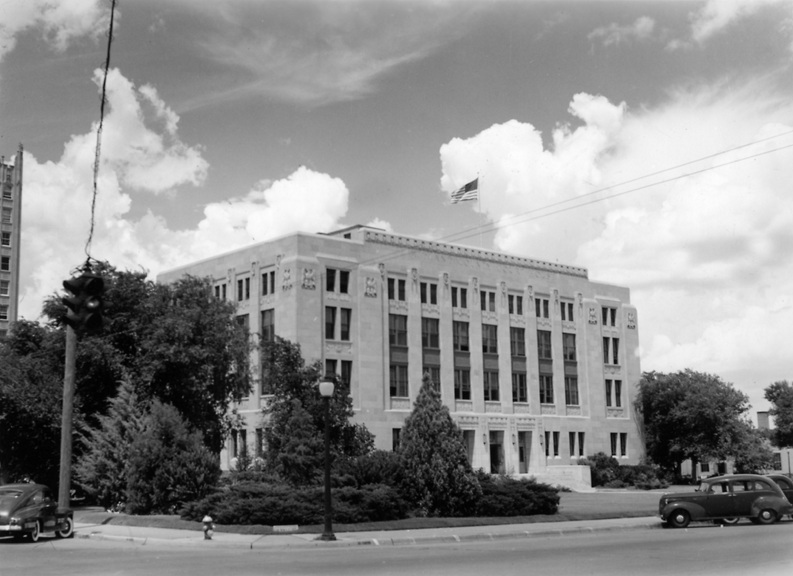 Herbert Voelcker moved to Wichita Falls in 1916 to serve as supervising architect for the new Wichita County courthouse. He and Jesse Dixon founded an architectural firm in Wichita Falls, Texas in 1918. 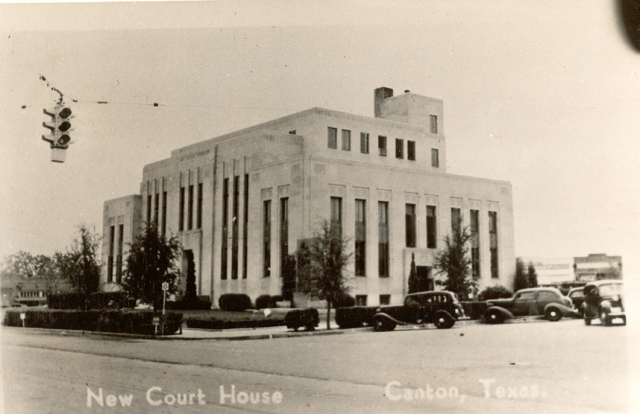 The firm designed 11 county courthouses in Texas, beginning in 1928 with a neo-classical styled building in Vernon, for Wilbarger County and in 1929 the Callahan County courthouse in Baird. 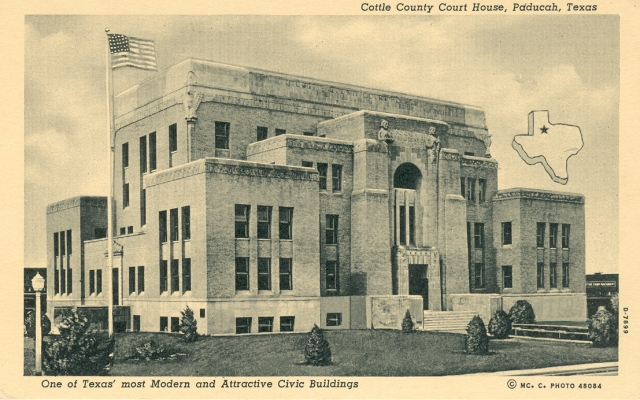 Following that rather traditional design, Voelcker and Dixon began to "modernize" their courthouse designs, beginning with a stylized neo-classical design for Midland County, followed by their most interesting courthouse, the 1930 Cottle County courthouse in Paducah. 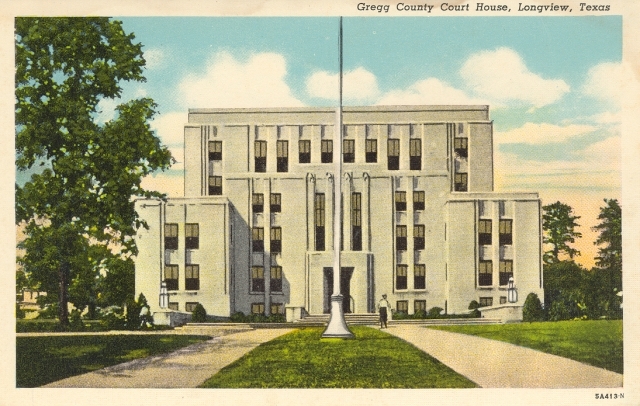 In his book Architecture in Texas 1895-1945, Jay C. Henry writes "The dramatically articulated massing seen in the Paducah courthouse tends to diminish in subsequent work by Voelcker and Dixon." The buildings became simpler and stylized, undoubtedly due to cost constraints and a desire for more "functional" modern buildings. 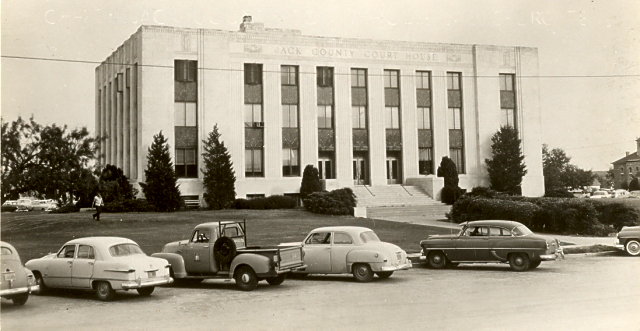 The last county courthouses designed by the firm were occupied in 1940, in Jack and Rockwall Counties. 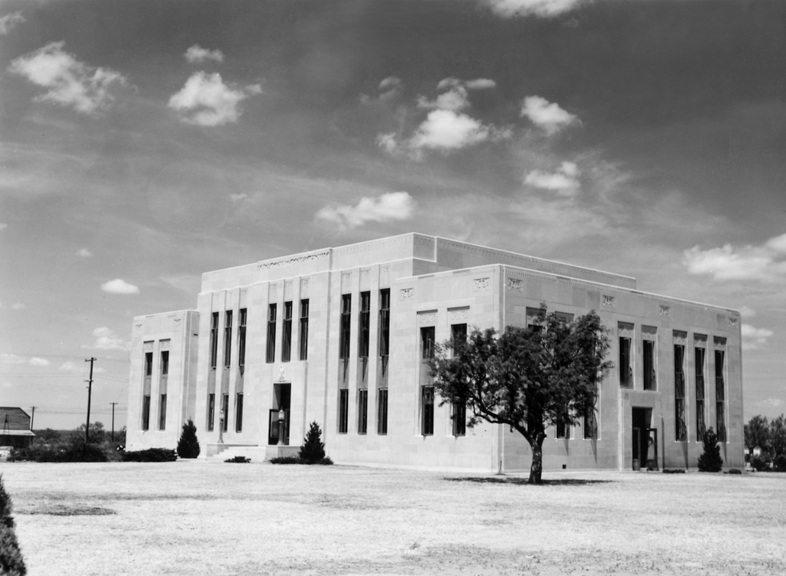 However, in 1955 "Herbert Voelcker & Associates" now located in Houston, designed the Waller County courthouse. 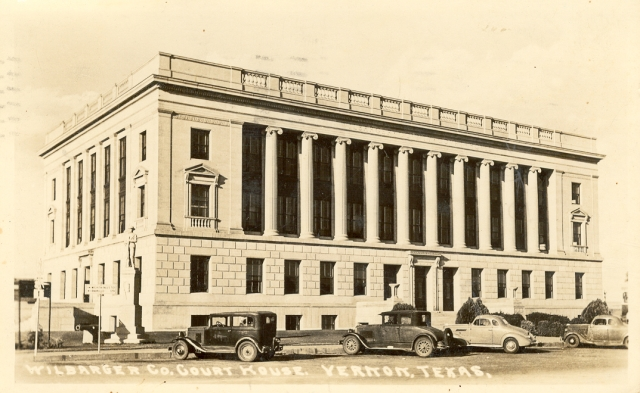 In addition to the 11 courthouses that were constructed, Voelcker & Dixon also designed a courthouse for Motley County in 1938 that was not built. A framed rendering of the design hangs in the current Motley County courthouse in Matador. In 1964, Conrad Staley became partners in the firm with the name changing to Dixon-Staley. In 1975, Gary Baker joined the firm and became part owner in 1996 with the formation of Staley-Baker-Monson (SBM). On January 1st, 2012, Gary Baker became the sole owner of the firm, now known as Gary Baker and Associates. 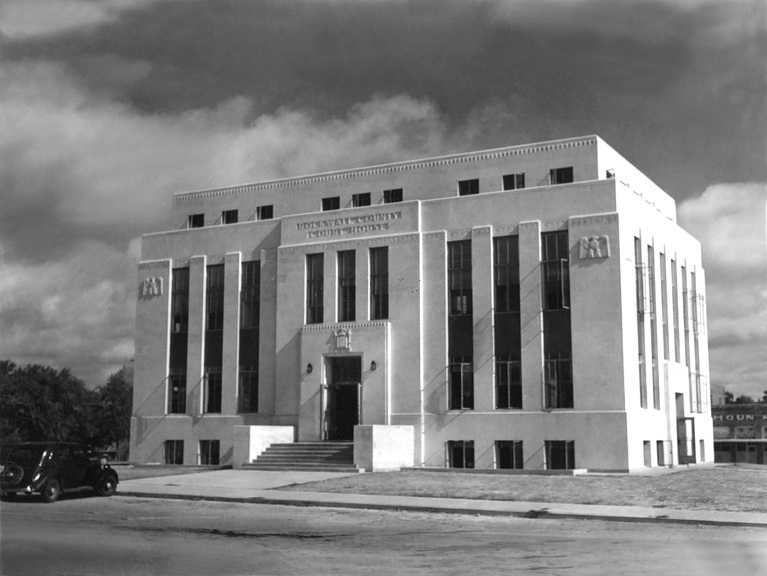 Midland, Texas 1929 (encapsulated within an addition designed by Jesse Dixon, Jr. in 1974) Demolished 2015. 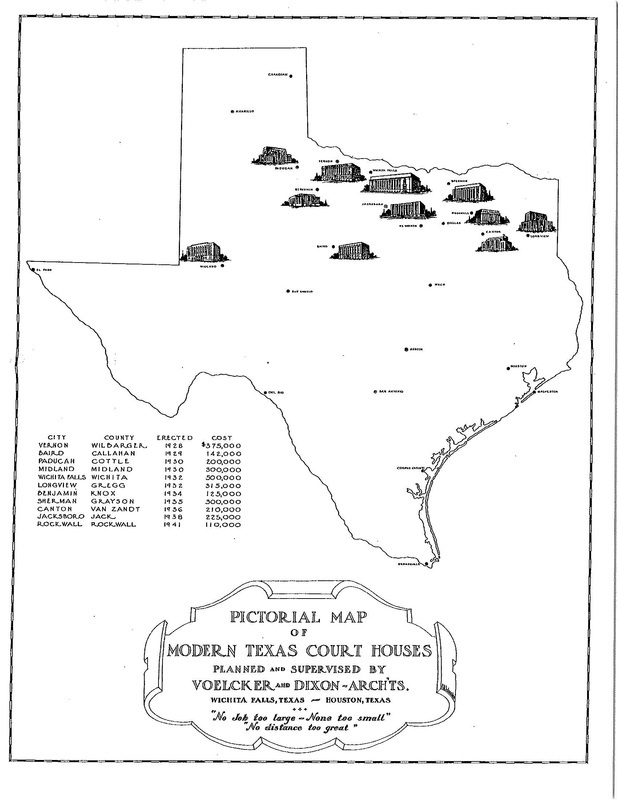 This map of the Voelcker & Dixon "courthouses" includes a rendering of the Federal Courthouse in Wichita Falls, Texas (1932). 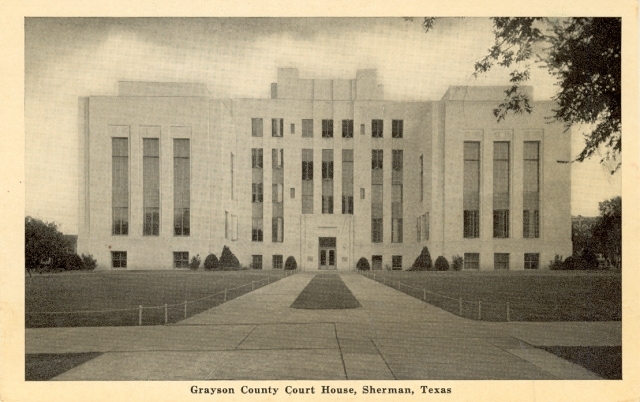 It does not include the 1955 Waller County courthouse in Hempstead, Texas that Voelcker designed without his former partner, Dixon.